If you are a dog in the Lehigh Valley, you are lucky because you have many events to attend and many places to go. You will have an array of good Veterinarians to choose from and a big choice of groomers who can make your hairdo look stylish and trendy. Looking for a place to stroll on Sunday afternoon? On Main Street in historic downtown Bethlehem, you can find many dog-friendly stores to go into and cafes for Mom to have a beverage. You know the stores and cafes are dog-friendly because they put a bowl of water out in front for passing dogs so if you do not see the bowl of water, use your discretion in entering because the owner may not want dogs in their place of business but pretty much every business downtown Bethlehem accepts dogs. Dogs can slobber and even pee on merchandise so if you’re planning on going into a boutique, by all means, be sure to potty your dog before you even arrive on Main Street. Main Street is a very clean street but if you find your dog has an emergency, there are some trees and dirt spots along the street but there are no grassy patches unless you go behind the Sun Inn or down by the Moravian Church. Be sure to clean up after your dog to ensure we can all continue to be welcome on that historical shopping street at the shops and cafes. 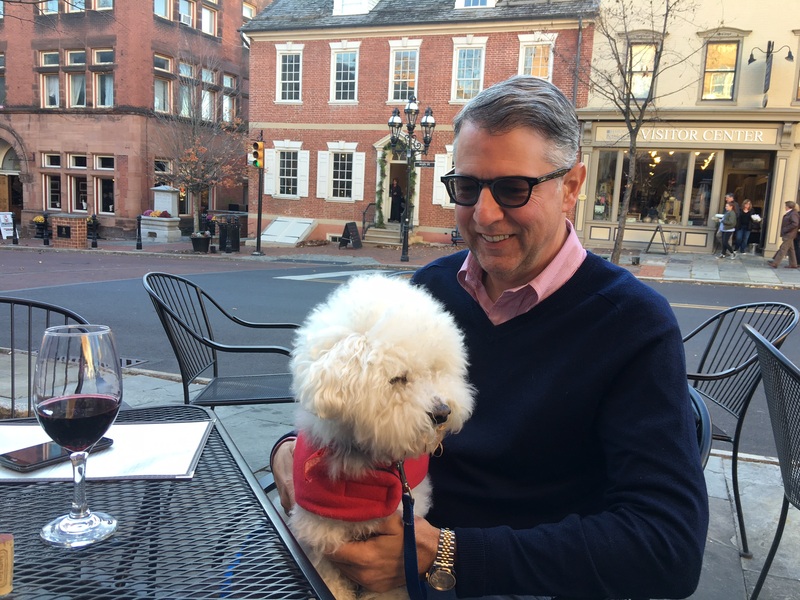 Oh and Hotel Bethlehem only accepts dogs if you are a hotel guest so you may wish to sit at an outdoor café along Main Street instead, if you’re looking for a dog-friendly eatery or a place to enjoy your beverage when you’re with your cute little dog. Be sure to keep your dog up-to-date with vaccines before taking him in public and you can do that at our brand new Veterinarian in Northampton, PA. That’s right. We have a brand new affordable Vet in town and her name is Abby Gerenser! Abby Road Veterinary Hospital just opened their doors to the public on Atlas Road and they are accepting new patients. The facility offers full Veterinarian services to keep your pet in top condition so that he can remain active and live a long, healthy life. With the warmer weather, we will all be out walking our dogs on a daily basis again soon. 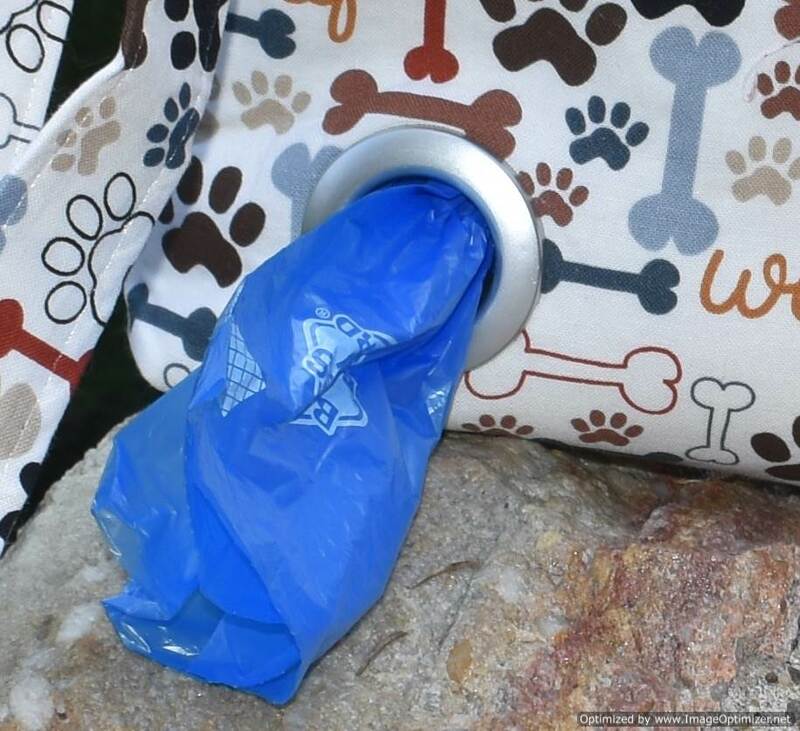 Don’t forget to get your hands on The Dog Walker Bag from www.sassydogfashions.com which has a built-in dog waste bag dispenser so when your dog goes potty in public, it’s easy to clean up. Just pull a bag from the dispenser, bag the poop and then put the bag into the main compartment and zip it shut. 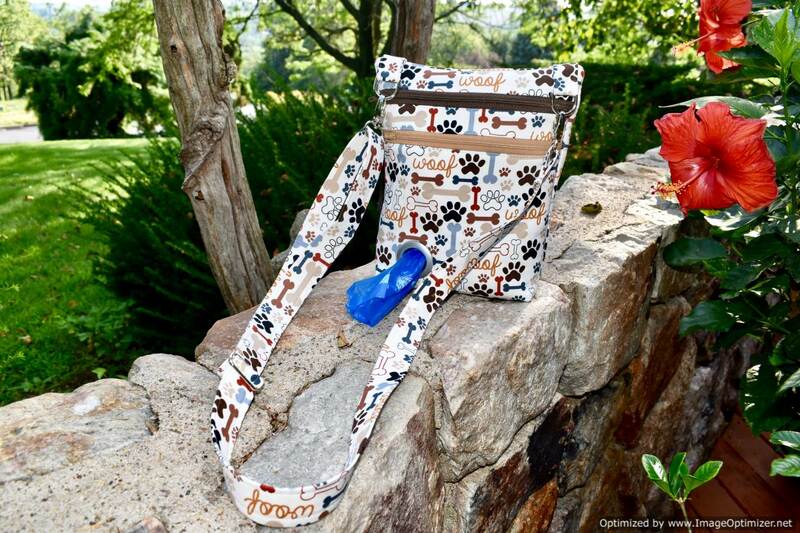 The cross body bag comes in six (6) fun pet patterns and has an adjustable strap and is designed to keep your hands free so that you can manage the dog leashes and dogs and also watch your step. Great for dog parks, city walking and anywhere you need to be mindful about cleaning up after your dog.